Every year January is the time to reflect upon the previous year, set goals, maybe go on a detox and for most of us it’s a time to tighten our purse strings. I don’t know about you, but this month I’ve been super careful with my money to claw back on Christmas expenses and to account for a 5 week long pay month. For fashion addicts, like myself, who still want to keep up with the latest fashion, this can be pretty hard. So, I’ve teamed up with Slaygirlfashion.co.uk to bring you my top 5 picks from their website, which will make the most of your money in January! You can also use my discount code ‘robynpoppy’ for 20% off to save even more! Puffer jackets have fast become a wardrobe staple and this mint colour is absolutely gorgeous! This jacket’s original price is £45.00, which is still amazing for the product, but with the extra 20% off it makes it even better value. Plus, with the cold British weather you still have time to get lots of wear out of it. Slogan t-shirts aren’t showing any signs of shifting in 2018 and are always a firm favourite with me as they are so easy to style and can be worn for so many different occasions! This number from Slay Girl is super cute and a must have for £14.00, or £11.20 using my discount code. 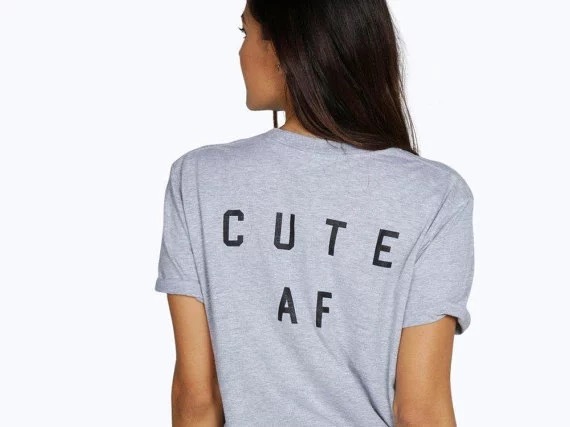 If you’re looking to get the most value for your money, you need this in your wardrobe. I think this is possibly my favourite item on the website at the moment! 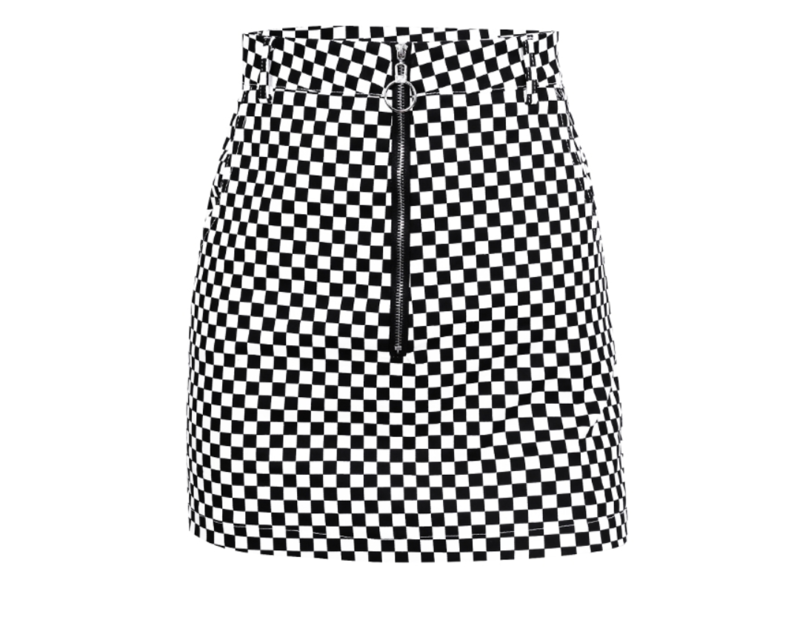 This chequered skirt is right on trend and would look amazing dressed down with trainers or Doc Martens boots. It would also look fab paired with the above top and puffer and make a really cute and affordable outfit. The original price of this skirt is £18.00, which I think is amazing but then with the 20% discount code it’s £14.40, which makes this piece an absolute steal! 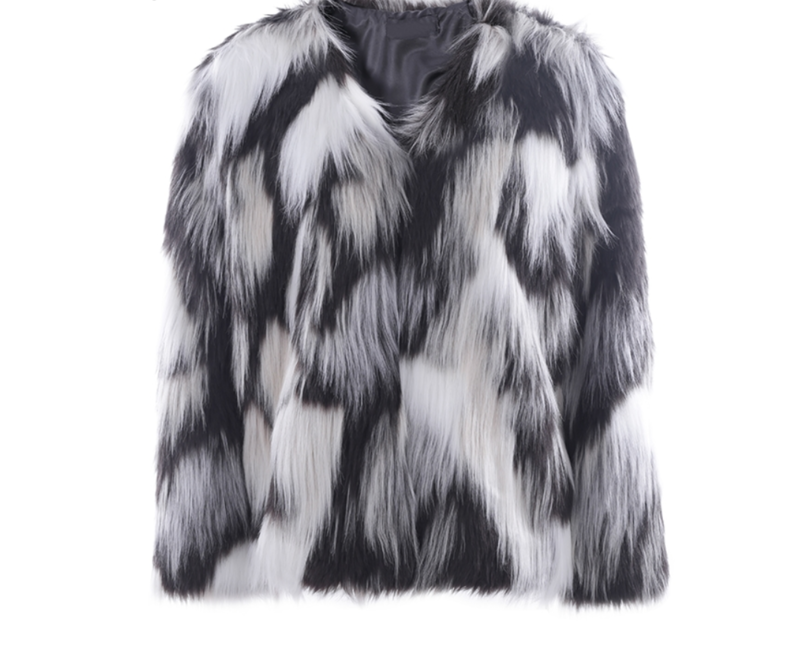 Who doesn’t love a faux fur coat?! And this little number from Slay Girl is perfect for the cold British weather. I feel like this could be dressed up or down, and the monochrome colours make it a really easy piece to style. Plus, at £32 (using the 20% discount code) it won’t break the bank compared to a lot of other similar jackets on the high street! I love this jumper dress as it’s such a beautiful colour and can be worn for so many occasions. It would look really cute paired with some over the knee boots for in the day, or with a cute bra-let and heels for drinks out. I’d definitely wear the above jacket with this dress as the colours really compliment each other. Finally, I feel that it’s great value for money and would be a perfect transitional piece for going into spring when the weather gets a bit warmer and you want to get your legs out! *All product images in this post are not my own, and have been taken from the site https://slaygirlfashion.co.uk. *This post is in collaboration with Slay Girl Fashion, but I was not paid to write this post and all opinions are my own. "WHY DROPPING OUT OF UNIVERSITY WAS THE BEST DECISION I EVER MADE"
Love the colour of the puffer jacket, such a pretty shade!